Arrival to Istanbul airport. You will be met and transferred to your hotel by Orion staff or guide. Following breakfast, we drive to the ‘Old City’ where we visit the Hippodrome, the Blue Mosque, famous for its delicate blue ceramic tiles, and Haghia Sophia. This church – turned mosque – turned museum takes the breath away with the sheer architectural size of its interior and magnificent dome. Next we visit the spectacular Topkapi Palace that was built on one of the seven hills of Istanbul, this huge complex commands views of the Sea of Marmara, the Bosphorus and the Golden Horn. It was the seat of government for the Ottoman Empire for many centuries (1453-1852). We see the extravagant Treasury. Last stop at Grand Bazaar (Sunday closed) Overnight at hotel. Following breakfast transfer to Istanbul airport to catch your flight to Kayseri.or Nevsehir Pick up from Kayseri airport in the morning and drive to Cappadocia. We start from Devrent valley that has various types of interesting formations and continue to Pasabag (Monks Valley) of many fairy chimneys with multiple stems and caps being unique to this area. Avanos is known for the pottery, a craft dating back to the Hittite period. Goreme Open Air Museum is the place where this religious education was started. You will visit the churches, chapels and monasteries carved into the fairy chimneys from the 10th to the 13th centuries with frescos painted on the walls. Esentepe is where you will see wonderful scenery of region. Uchisar castle is the highest point in the region. The castle of Uchisar and its surrounds used to be the most populated area. Dinner and overnight. After breakfast visit Kizilcukur valley where you will visit Uzumlu (Grape) church. It is hollowed out like a monastic complex where monks lived. Then we proceed to village of Cavusin, one of many ancient villages of Cappadocia. Old Cavusin was abandoned several decades ago due to avalanches but we still have beautiful fairy chimneys. 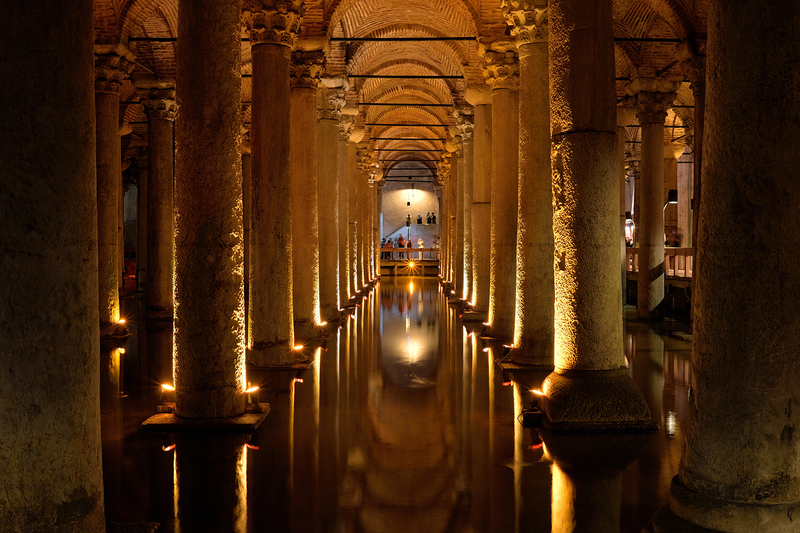 Ozkonak or Kaymakli Underground city is on our program to enjoy.. You will still see pigeons and storage rooms etc. in the Pigeon valley. Ample time will be allocated to see Turkish carpets, pottery and Cappadocia souvenirs. Dinner and overnight at hotel in Cappadocia. After breakfast we drive to Ankara. Visit the Museum of Anatolian Civilizations and the Mausoleum of Ataturk in Ankara. 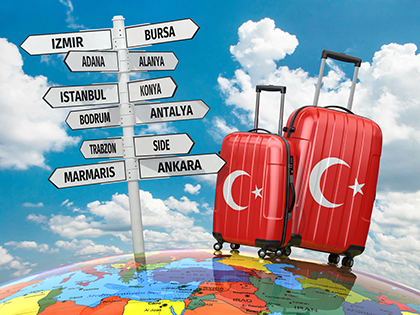 Then transfer to Ankara airport to catch a flight to Izmir. Dinner and overnight at hotel in Izmir. Following an early breakfast we will proceed and arrive at the ancient city of Ephesus. Ephesus was undoubtedly one of the most important cultural centers of the ancient world. Impressive structures, we will see, include the Library of Celcius, Temple of Hadrian, Theater and Odeon. We will also stop by at the Temple of Artemis which was one of the Seven Wonders of the antiquity. Close by is the House of the Virgin Mary where she is believed to have spent her last years. On August 18, 1961, Pope John XXll proclaimed the House of Virgin Mary at Ephesus to be sacred. Pope Benedict XVI paid a visit and led a Mass at the church in December 2006. You will have a chance to take some of Holy Water from the Sacred Spring. Following the excursion, we will drive to Izmir for our flight to Istanbul. Overnight in Istanbul.